The bite in the air signifies summer's over even if the calendar doesn't quite agree. 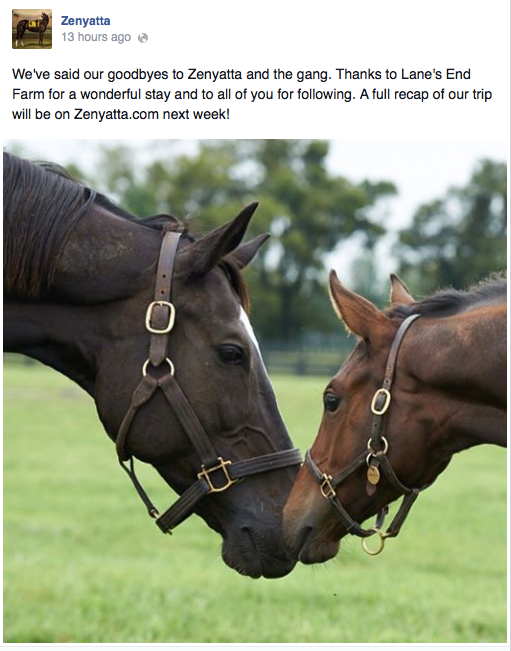 So too for SmartyJones' cousin, Zenyatta and her team saying goodbye to summer at Lane's End. at Lane's End Farm. Team Z is off to greener pastures. Zenyatta's official Facebook with this and more photos is available here. The full Team Zenyatta page is available here.